The beta version of a minor IFC4 update, the IFC4 Addendum 1, has been published on 11. Aug 2014. The review period is now open until 30. Sep 2014. As part of the ongoing maintenance work on its main standard specification, the Industry Foundation Classes (IFC) for BIM data sharing, buildingSMART International has published today the beta version of a minor enhancement of the IFC4 specification, the IFC4 Addendum 1. The beta version is now out for public review until Sep 30, 2014. 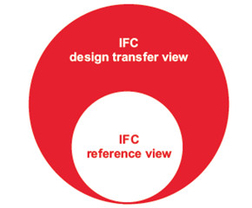 At the same time, the first official Model View Definition (MVD), based on IFC4 Addendum 1, has been published as well. The work has been carried out by the Model Support Group on behalf of buildingSMART International. Newsletter for Open BIM. IFC4 coordination view project underway/BuildingSMART responds to market demand/PhD students learn about buildingSMART/Creating business value through BIM – International survey to explore the economic benefits/Next steps in certification/New bSI award for Heroes of Interoperability/CEN looking to develop BIM standards/What is open BIM?